Roughly one year ago, Mac and Charlie were arguing over the effect of superstitions on the outcome of American Football games. They were doing this as they were preparing for the upcoming Super Bowl, which featured the Philadelphia Eagles. 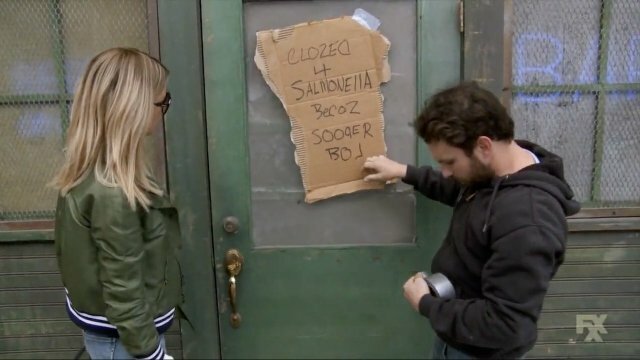 Charlie closed the bar for the day so that he and Mac could party with Frank and Dee. Frank had rented a party bus for everyone to ride in, but Charlie missed the bus as he was searching for his green skin-suit. 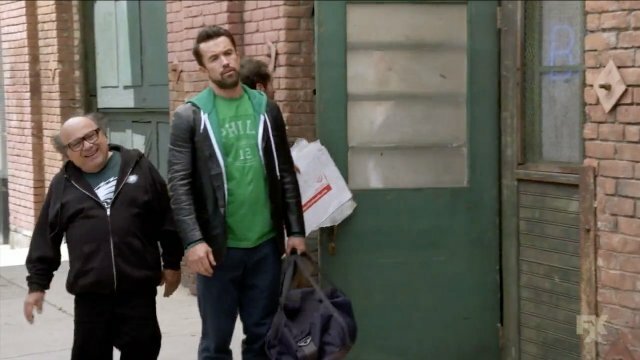 Charlie returned to his apartment and found that he was the only person there. Charlie celebrated his day of freedom by going through everybody’s stuff. He decided to go back to Paddy’s Pub. Charlie heard a noise coming from the basement and went to investigate. He found that the furnace door was slightly loose. Next, he returned to the main level and heard two people knocking at the door and assumed that they were burglars. Charlie then began to re-enact the plot of Home Alone as he rigged a bunch of traps to stop any people from robbing the bar. Charlie accidentally triggered one of his own bear traps, which caused his leg to begin gushing blood. He managed to crawl over to the bar door and grabbed a heating coil off of the knob. Charlie used the coil to cauterize the wound. Charlie passed out from the pain, but regained consciousness when his Super Bowl alarm went off. He noted that since he had yet to perform his color rituals, the Eagles were going to lose the game. He found a rat and decided to eat it as it was brown. Charlie then needed to wear green and drink something yellow. He found a can of green paint and managed to knock it onto himself. Charlie attempted to stand to make his way to the bar, but was unable to do so as the bear trap chain was to short to reach. He managed to knock the beer off the counter with his baseball bat, but it spilled on the floor. Charlie eventually decided to urinate into the beer glass and drink it. He did so and then struggled to turn on the television. Along the way, Charlie managed to trip most of the traps he had set up. Charlie managed to turn on the television and saw that the game was not going in the Eagles favor, so he committed to further injuring himself. 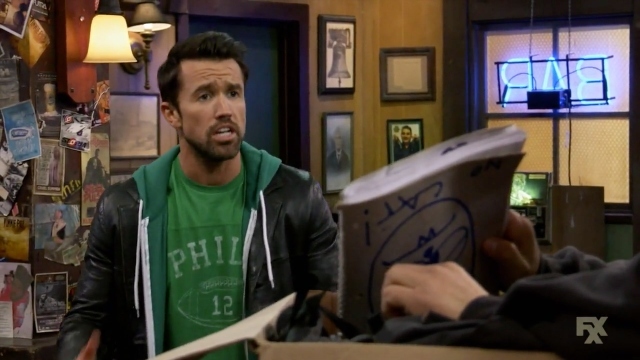 What did you think of It’s Always Sunny In Philadelphia season 13 episode 8? Let us know down in the comment section below!